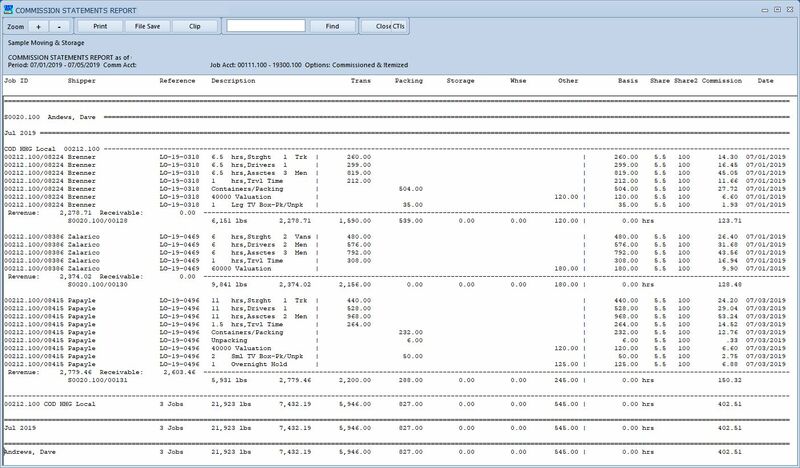 Usable for Salespeople, Workers, and Contractors, the commission screen shows detailed line-item charges, based on a variety of possible factors, including weight, miles, hours, and charges. Pre-programmed settlement schedules can automate the commission process. 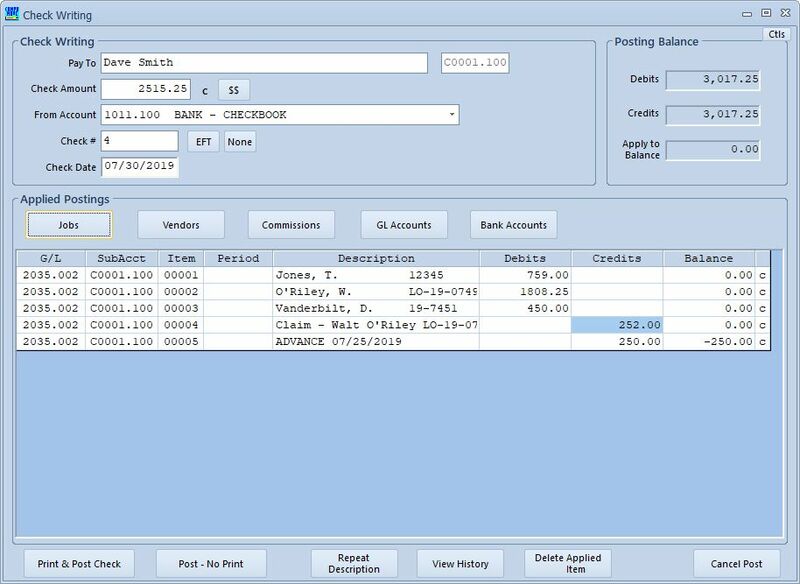 The itemized processing of a commission settlement shows individual line items to be paid on, as well as adjustments for advances, vendor bill pass-throughs or chargebacks, or partial balance items. Detailed commission job reports show jobs, items paid, and rate. The commission settlement report, available in a variety of formats, gives detailed breakdown of account activity. 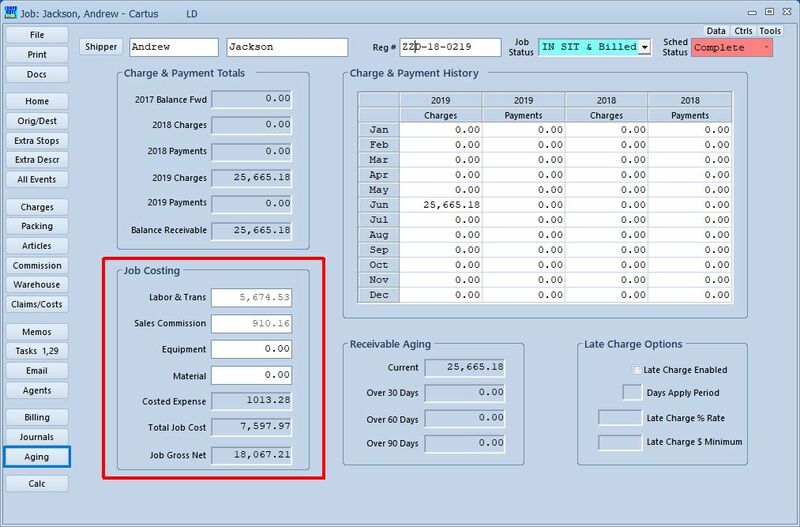 The job commissions, for both workers and salespeople, are automatically integrated in the job costing function.